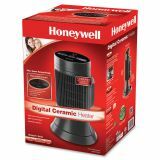 Honeywell Digital Ceramic Mini Tower Heater, 750 - 1500 W, 10" x 7 5/8" x 14", Black - Keep warm without the hassle. 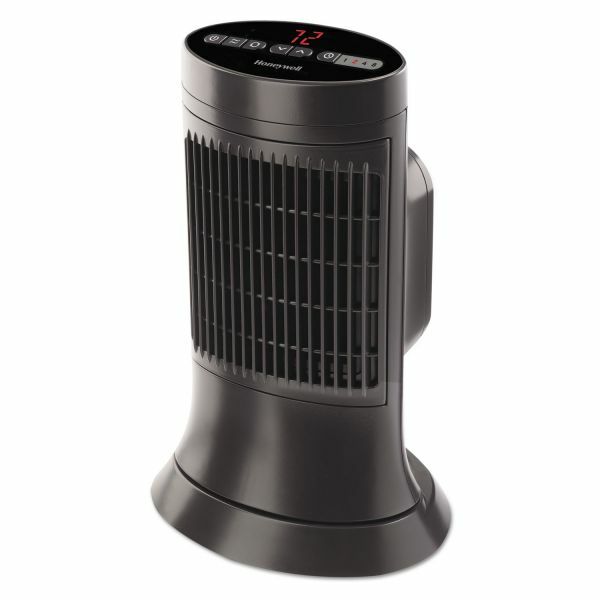 Convenient heater has digital easy-touch controls and an easy-to-read LCD display. The programmable thermostat allows you to choose the right temperature for you. One-, two-, four-, and eight-hour settings keep you warm without constantly having to adjust the controls. Two constant heat settings. Oscillates for a wider range of heating. 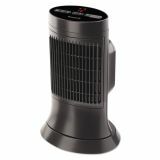 Convenient mini heater is great for personal use. Excellent for use on or under the desk. Permanent dust filter. Exceeds industry standards for safety.